I posted a few weeks about this targetted offer for the Priority Club Black Visa card. The last day to apply is tomorrow, Monday August 20th. This was an attractive deal – the normal £99 fee is refunded to you, and the sign-up bonus is doubled from 20,000 to 40,000 Priority Club points. Those can be turned into 8,000 Avios points or other airline miles, or more profitably be redeemed for free nights at Holiday Inn, Holiday Inn Express, Crowne Plaza, Staybridge Suites, Hotel Indigo or InterContinental properties. 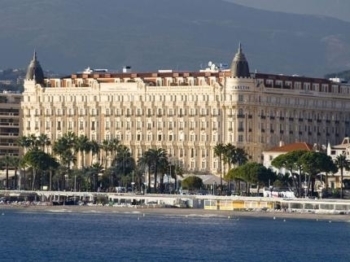 This is good for up to 2 free nights, depending on brand and property location, although the best InterContinental hotels in the world (London, Paris, Cannes [pictured above] etc) are 50,000 points. You would need to spend £5,000 on the card to get the extra 10,000 to reach the 50,000 level. The offer in this link was sent to specific people by mail. However, having looked at the form, I reckon that if you applied using the link you would be OK. Yes, there is some risk, but I think you’d get the deal as listed. Keep a print out of the promotional website just in case. I applied via the link in your previous post. Card arrived today and they have confirmed I will get the fee back and 40k points. Anyone know how long these take to appear after the first purchase? I applied also via your link and just got the “card approved” email. Nothing mentioning the 40k points or fee refund as yet – where did they confirm this to you Mike? And if anyone has a screen shot of the offer I would be grateful as I stoopidly forgot to take one.